Skin cells produce melanin; however, when they are damaged or become unhealthy, the melanin production is affected, and can create skin pigmentation disorders. The pigment becomes darker in patches (if too much melanin is created) or lighter (if too little melanin is produced). Skin pigmentation disorders manifest on the face and body as small patches of darkened skin as a result of increased melanin production during pregnancy, sun damage, or age. Age spots, lentigos, liver spots, sun spots and birthmarks are all forms of hyperpigmentation and although they have no effect on our health, they can be unsightly and may decrease our self-confidence. What treatment can be used to lighten pigmentation on legs, arms, back and chest? A Jessner’s peel can treat, retexturise thickened or oily skin and improve the appearance of large pores. In addition, it will exfoliate the skin’s upper layer and allow improved absorption of skin care products. Depending on skin type, skin condition, peel strength and desired outcome, we recommend a course of 4 peels. What does the peel feel like? The Jessner’s solution is at a low pH, so it will sting a little. To help to reduce the sting, we provide patients with a device that gently blows out cool air throughout the application of the peel (10-20 minutes). Right after the treatment, the skin will feel tight and dry. Expect mild to moderate redness and sensitivity (similar to a sunburn) lasting 12 to 48 hours. Some darkened areas of skin may occur (this is the skin preparing to shed). There will be a varying amount of mild to moderate flaking/peeling occurring for approximately 3-7 days after your treatment. After the dead skin has shed, your new skin will have a healthy glow, and feel softer and smoother. It is vitally important to protect the new skin from sunrays by using a broad spectrum (UVA/UVB) SPF 30+ sunscreen daily. If the peeling skin is removed prematurely, prolonged healing and/or infection is possible and may lead to scarring. If prone to cold sores, you may experience a herpes simplex outbreak. 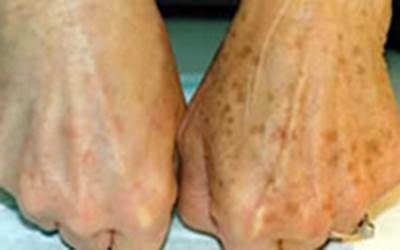 Hyperpigmentation (darker areas of pigment on the skin) lasting 1 to 12 months can occur. Some patients may also experience mild temporary swelling of treatment the area (this is rare). Does my skin need to be prepared for the treatment? Prior to having a Jessner’s peel, we recommend that the skin is primed with active ingredients two weeks before. This is to maximise peel outcomes, assist in speeding the healing time, and reduce the risk of post peel complications. A specific skin care regime will be recommended to you during your initial consultation. The active skincare is included in the package price. A course of Jessner’s peel for each body area (arms, half leg, back, chest or stomach) costs R8000 for 4 sessions and includes the skin preparation cream. Individual sessions cost R2500 each. Each session will take approximately 60 minutes to complete. Avoid the use of moisturisers or lotions containing active ingredients such as retinol, glycolic acids, perfumes and colors. Please use the moisturizer supplied to you for 3-7 days or until your skin is no longer sensitive. Thereafter, continue with your usual moisturisers unless advised otherwise. Your skin will be a little more sensitive to the sun so keep sun exposure to a minimum. Please wear a hat and sunscreen daily. This should be a regular routine for you anyway! It is important to avoid the use of exfoliating products for the next 3-5 days. To avoid sun sensitivity, it is important to apply a broad-spectrum sun block daily.